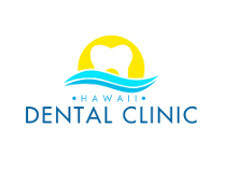 Hawaii Dental Clinic requires payment at the time of service. We accept cash, check, or major credit cards. Payment plans are available for patients who are unable to pay in full for services rendered. For patients with active dental insurance: deductibles, co-payments, and tax amounts due are required to be paid at the time service is rendered. For patients without dental insurance, the full fee including taxes is due at the time of service. Any patient balances remaining unpaid at the end of the month will incur a finance charge equal to 1% of the total outstanding balance due.